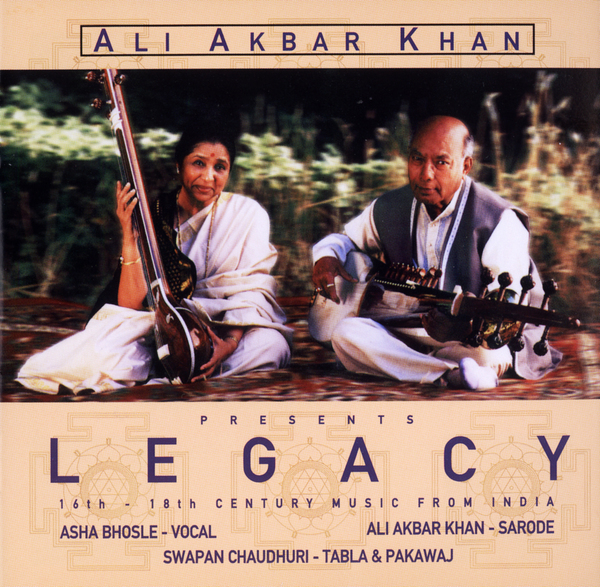 "The coming together of two stellar talents-- master-sarodist Ali Akbar Khan and singing diva Asha Bhosle-- in an unprecedented collection of eleven ancient, 16th-18th century songs from the Court of Emperor Akbar, handed down through family and lineage. They are presented in forms of prayer, tarana, hori, kheyal, dhrupad, and sadra, with the added richness of the sarangi, sitar, cello, and harmonium. Swapan Chaudhuri on tabla and pakawaj."